The recent controversy over the contributions of non-Malays in the war against the communists in this country has once again raised questions over Malaysians’ general knowledge of our own history. One disturbing aspect arose from the controversy is how history, or the lack thereof, has been distorted to instil racial antagonism among ethnic groups. Such a malicious tactic is still being used because history is more than a record of the past, it shapes how we see ourselves and others in the present. Learning about our colonial past in the 1900s is a case in point. My generation was taught that the British were the exploiters of our land and the destroyers of our local traditions. Such indoctrination has led many to believe that the West is the immoral agent of decadence. The West is thus conveniently scapegoated so that the ruling regime can get us to see ourselves as victims, to see the West as a threat, and to see the present rulers as our needed defenders. That is the recipe for a siege mentality, a proven method to win votes. I am not here defending colonialism or the West, but to point out one piece of our history that has been forgotten, not even footnoted in history textbooks. That is the fact that it was the British who liberated the bumiputeras (Malays and Orang Asli) from slavery, a cruel age-old trade practised by locals for hundreds of years. There was a saying in the sixteenth century Melaka, “[It] is better to have slaves than to have land, because slaves are a protection to their masters.” Slavery was a valued regional trade, woven into the economy and social fabric of the local society. It was, contrary to today’s society, a widespread and perfectly acceptable practice in Malaya, before the arrival of the British. “In the early period,” remarked historian Nordin Hussin, “slaves were an integral part of Melaka, the descendants of those who had lived within the socio-cultural context of the old Malay world.” The Italian trader John of Empoli, after he visited Melaka, wrote in 1514 of a certain “Utama Diraja” who owned 8,000 slaves. When they came to power in Malaya, the British began to register slaves, partly because they wanted to abolish the practice. “[The] English administration,” wrote Hussin, “made a compulsory order for all slave masters to register their slaves with the police. Slavery, as practised in Malaya as well as in other parts of the world, involved rampant cruelty and injustice. Slaves were generally despised. They were kidnapped, sold, abused, raped, and killed. Some slaves were born into slavery, inheriting their parent’s enslavement. Slaves were deemed sub-human. Thus, common folks would not even want to carry out tasks that were affiliated to slaves. Slaves owners on the hand are dignified and reputable. Malay chiefs would raid villages and rural settlement to hunt for their human commodity. Due to Islamic teaching that forbids enslaving fellow Muslims, the indigenous people, or Orang Asli, who weres labelled as ‘Sakai’ (slave) or ‘kafir’ (infidel) became the usual target. 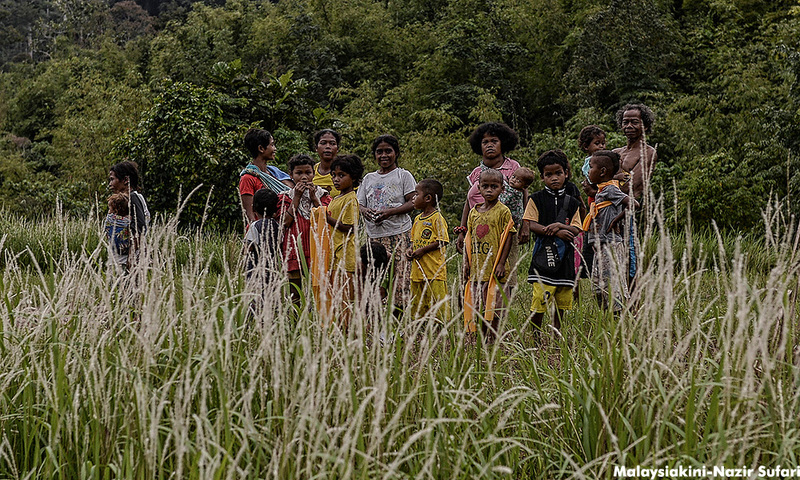 The Orang Asli were the “greatest local source of slaves”. “Sometimes,” notes Endicott, “Malays tempted or coerced Orang Asli into kidnapping other Orang Asli for them in order to ‘preserve their own women-fold from captivity.’” But ultimately those who were captured will be traded and enslaved by the Malays. The more slaves a Malay chief or sultan owns, the wealthier he is perceived to be. Thus, the Utama Diraja mentioned earlier, who owned 8,000 slaves, was also reported as the wealthiest merchant among his contemporary. The Malay chiefs, elites, and sultans benefited from - and thus perpetuated -slavery. Therefore, slavery was not a fringe practice among some inhumane underground syndicate, but a traditional custom in the Malay worldview, a cornerstone of the community’s economy, social structure, and politics, uncontroversial and allowed by religion. Referring to the slavery in Perak, Swettenham wrote that it was one of the “pillars of the State,” and “every one of any position had debt slaves of their own.” Given such centrality, any hint of its disruption, in the like of policing and abolishment, will be seen as seditious to the Malays. The Pangkor Treaty signed on Jan 20, 1874 legitimised British’s colonialism over the Malay states and designated Abdullah (leader of lower Perak), rather than his rival Ismail (upper Perak), as the twenty-sixth sultan of Perak. Birch’s attempt to abolish slavery was perceived by the locals as a threat to their symbolic social stature, intrusive to their way of life. In practical terms, the human commodity, with its accompanying prestige, labour force, and economic asset, belonged to the Malay chiefs but was stolen from them. Nonetheless, abolishing slavery was a must for the Resident. The stake that Birch probably did not realise for wanting to eliminate slavery from the Malay world would be his life. His assassination resulted in the Perak War, the trial and execution of his murderer Maharaja Lela Pandak Lam, and the deposition of the sultan. Nonetheless, many of us were taught that Maharaja Lela was a nationalistic martyr who fought against the oppressive British for intruding their way of life. Our school's history classes do not tell us that Westerners like Birch had lost their lives partly due to their effort to help, shelter, and free Bumiputera slaves. Instead, they are demonised as threats from the West who came to destroy the locals' cherished tradition. Despite the violent reaction against the Resident, the British were resolute to eliminate slavery in Malaya. Not even the Perak War could deter them. Since the signing of the Anglo-Dutch Treaty on 17 March 1824, which established British’s rule over Malaya, the colonial administrator took active measures to phase out slavery. In the seventeenth century, more than 30 percent of the Melaka town’s population were slaves. By 1827, the slave population was less than 11 percent. 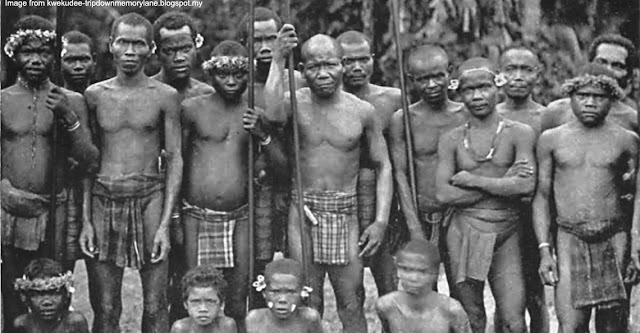 In 1901, the British appointed Giovanni Battista Cerruti, an Italian explorer known for his deep affection for the Orang Asli, to be Malaya’s Superintendent of the Sakai. All forms of slavery by 1915, a year after Cerruti’s passing, were officially abolished. The same blessing had also come to many Malays who were trapped as debt-slaves, whose great-great-grandchildren are now being taught to hate the West, so that the present regime will continue to remain in power. Joshua Woo Sze Zeng is municipal councillor with the Seberang Perai Municipal Council (MPSP).